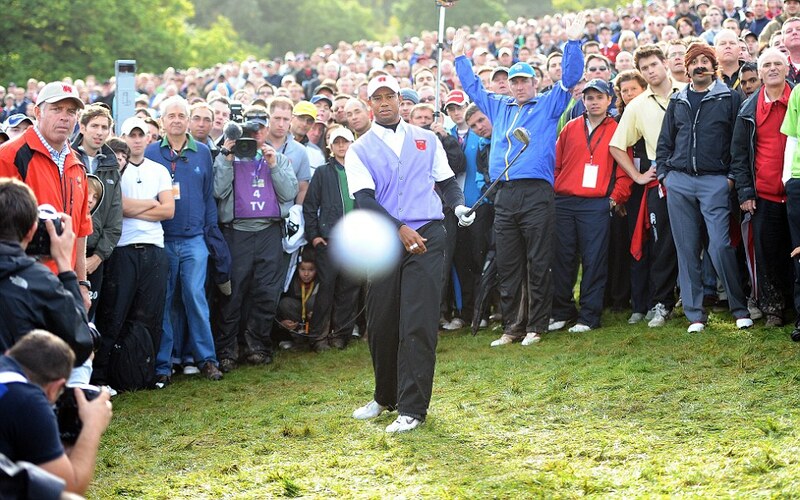 „Mail On Sunday“ photographer Mark Pain captured this moment at the Ryder Cup. The American world No1 Tiger Woods was attempting to chip his third shot on the final hole but he hit the ground behind the ball and duffed the shot straight at Pain. The Photographer made a sharp exit after the incident. We especially love the expressions on the audience’s faces!